With the cold winter days comes my cravings for soup. 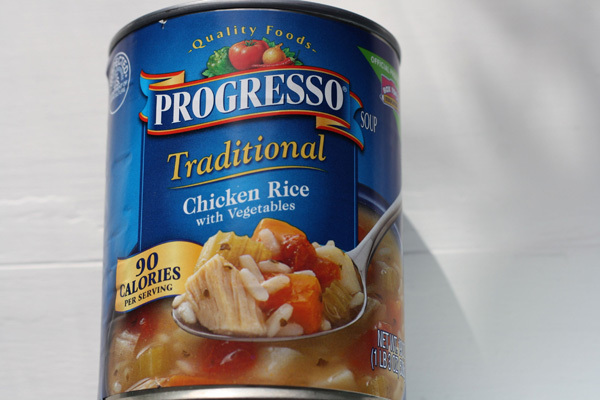 I love to have Progresso Chicken Rice for lunch and I often add some extras so that I'm not hungry an hour later. Lately, I've been adding a little extra rice (leftover basmati rice from dinner the night before), a big dollop of fat free sour cream and some franks hot sauce. Other times, instead of sour cream I add a little bit of Cabot's Seriously Sharp Shredded Cheese. Other times, I've added sour cream and a little lemon juice.